"Ashley Ream has an absolutely astounding voice—she is one of the most compelling, sharpest writers working today. 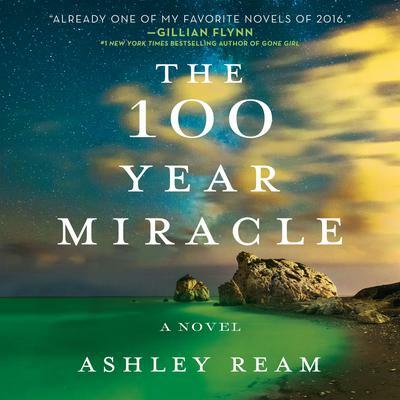 The 100 Year Miracle is already one of my favorite novels of 2016." Once a century, for only six days, the bay around a small Washington island glows like a water-bound aurora. Dr. Rachel Bell, a scientist studying the 100-Year Miracle and the tiny sea creatures that create it, knows a secret about the phenomenon that inspired the region’s myths and folklore: the rare green water may contain a power that could save Rachel's own life (and change the world). When Rachel connects with Harry and Tilda, a divorced couple cohabiting once again as Harry enters the last stages of a debilitating disease, Harry is pulled into Rachel's obsession and hope as they both grasp at this once-in-a-lifetime chance to save themselves. But the Miracle does things to people. Strange and mysterious things. And as these things begin to happen, Rachel has only six days to uncover and control the Miracle's secrets before the waters go dark for another hundred years. This audiobook includes an interview between the author and the narrator.